Is that Kyon eating a raw lemon? No wonder his life is so messed up. Dude just takes a bite outta a lemon. 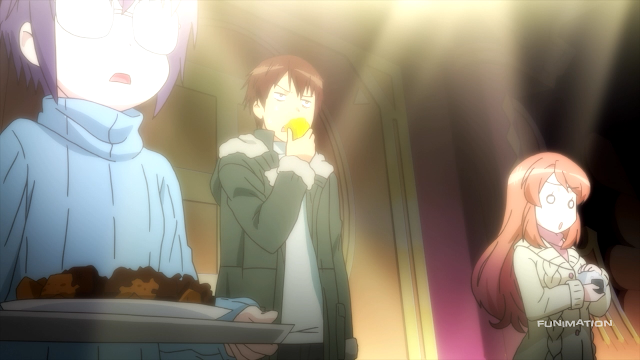 I supposed dealing with The Disappearance of Nagato Yuki-chan can be rough, but c'mon, man, no need to gum a lemon.